Looking to Move to workplace.com But Not sure if You’re Ready? 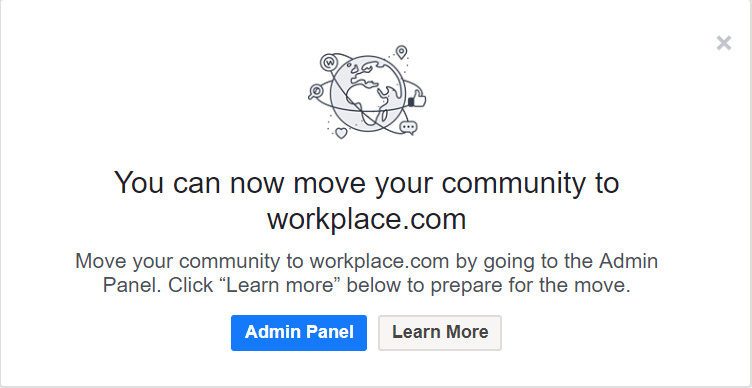 Workplace by Facebook (Workplace) is moving to a workplace.com domain! 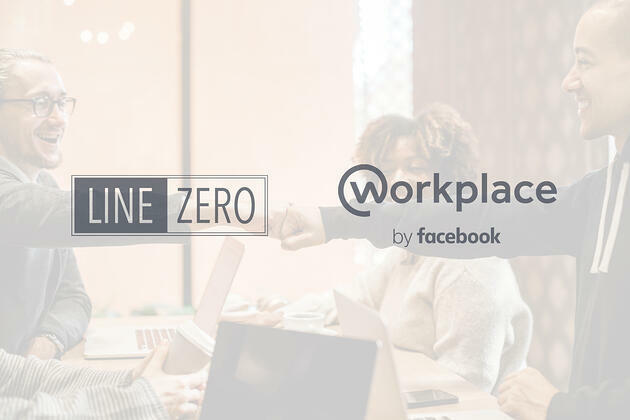 Many organizations have been asking for a clearer separation between Workplace and Facebook, and to accommodate this, Workplace has purchased the workplace.com domain, and is making it available to Workplace Premium customers. 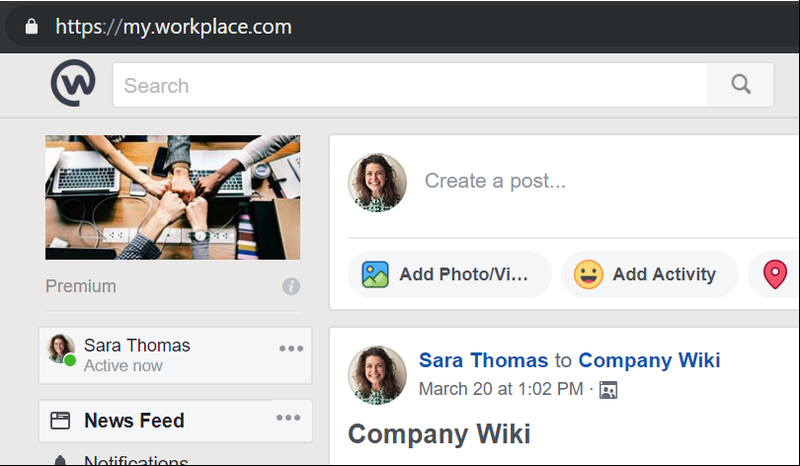 Starting March 25th, 2019, Workplace Premium customers can move their Workplace community from company.facebook.com to the new company.workplace.com domain. If you're using Workplace Standard, you'll be moved to workplace.com automatically on May 8, 2019. How do I move to workplace.com? If you decided to move to workplace.com, you have the option in the preference section of the Admin Panel to change from facebook.com to workplace.com. The on/off button is to move everyone in your community to workplace.com. You can toggle this back if there are any issues, but we do not recommend moving back and forth multiple times. The Learn More link will take you to the Workplace’s help page where you can see frequently asked questions and get more detailed information. When you are ready, just turn the switch on, and that’s it! You are now on workplace.com. Are you ready to move to workplace.com? Is your facebook.com URL currently used as your home page? Is there a published link on any other platform? Are there any training documents with the facebook.com URL? Are you using the URL in any of your apps or custom apps? Are you ready to switch your SSO URLs? Did you add the URL to your anti-spam configuration? Will anything break if I move? After you move to workplace.com, when you visit Workplace using the old facebook.com link, you will automatically be redirected to workplace.com version of the page without disruption. The workplace team currently has no plan to deprecate facebook.com Workplace links. Ready to Move to workplace.com? Workplace by Facebook Reaches 2 Million Paid Users!